Emporio Armani Stronger With You lives in the present, moulded by the energy of modernity. Unpredictable, he surprises with his originality, like the spicy accord in the top notes - a mix of cardamom, pink peppercorn, and violet leaves. 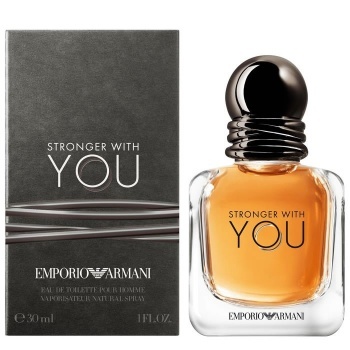 Emporio Armani Stronger with You has inherited a confident elegance, with the easy nonchalance of youth, conveyed by the stage at his aromatic heart. The scent communicates with sensuality: the smoky Vanilla Jungle Essence™ falls in love with the sugar coated chestnut accord, succumbing to his magnetism: STRONGER WITH YOU. 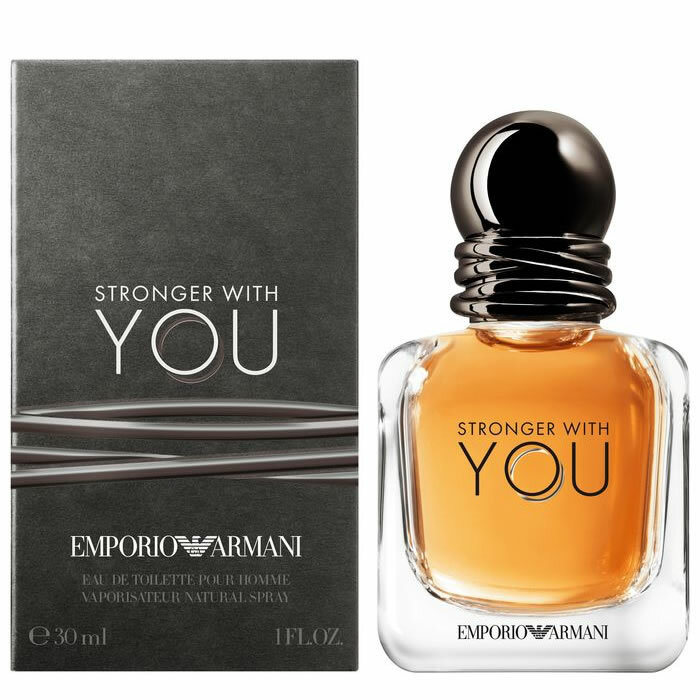 Emporio Armani Stronger with You is a new fragrance for 2017 from Armani. Energetic, bold and unpredictable, it is a fragrance that is both intimate and outspoken with cardamom, pink pepper, violet leaves, sage, chestnut, vanilla and musk. For Valentino Uomo, perfumer Olivier Polge imagined a fragrance full of history. A profoundly Italian aromatic blend made of precisely chosen ingredients.Notes of Bergamot, Myrtle Liquor and flows into the heart notes of Crema Di Gianduia, Coffee finishing with the everlasting base notes of White Leather, Cedar Wood.